After short and largely uneventful stints in the pro league, Mandani and Belencion have gone back to the developmental league with the Tanduay Rhum Masters this conference under head coach Lawrence Chongson. Two seasons in the PBA went by so fast and now the 27-year-old Mandani is left without a team after Meralco put him on the unprotected list for the expansion draft. 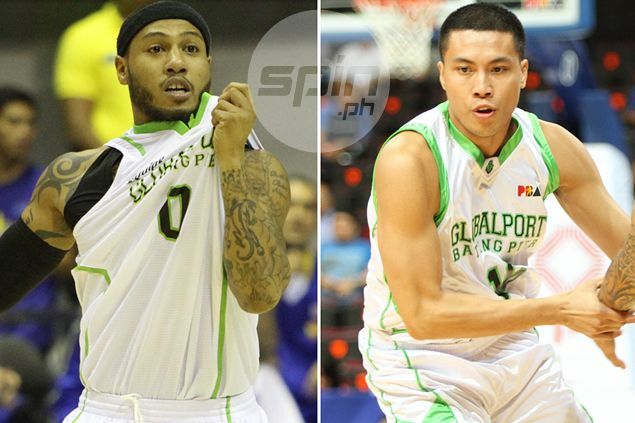 Belencion, who was part of GlobalPort last season, admitted returning to the PBA D-League was not in his plans but he quickly realized it is just part of the life of a professional basketball player. Having already known what it takes to be a PBA cager, Belencion believes the D-League stint will only help make him an even better player once he get the chance to return to the big league. “Marami pa rin akong dapat gawin. Marami pa akong dapat iimprove, hindi lang sa shooting, pati sa depensa. Na-feel ko rin na parang medyo mabagal pa ako. Gusto kong madagdagan ’yung bilis ko. Step up lang ako sa laro at sa practice,” said Belencion. Mandani and Belencion are two of the additions to a Tanduay team looking to challenge for the title. Mandani had an auspicious debut with Tanduay, scoring a game-winning layup to lead the Rhum Masters to a victory over MJM M-Builders last week in the team’s conference opener. Although the Rhum Masters lost their next game against powerhouse Hapee, Mandani is confident his squad is competitive enough to challenge the top contenders of the league. “I think we can compete with anybody in this league. As long as you keep working hard, and stay focused, we can compete with anybody,” said Mandani.